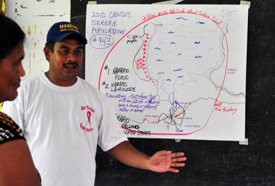 Community (SPC), and the Conservation Society of Pohnpei (CSP). of the hazards that the community is likely to face. prepare or adapt to the three hazards listed.